White House to Totally Ruin Christmas? Hope you're feeling lucky. 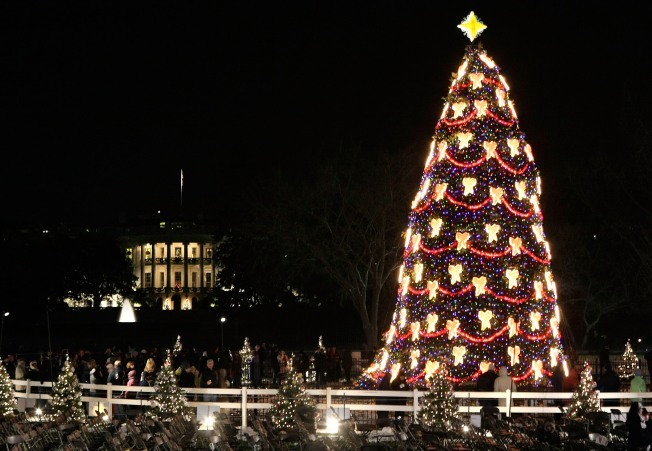 Admission to Dec. 3's National Christmas Tree Lighting will be granted via lottery for the first time this year -- but if the Easter brouhaha is anything to judge by, it ain't gonna be a Silent Night. Tickets to the White House Easter Egg Roll were also available online -- but the site had seized up by 9 a.m. on day one. Many people either couldn't get onto the site at all, while others were thwarted when the site bumped them out partway through the ticket-ordering process. We're hoping that the National Park Service doesn't have similar problems with its ticket giveaway. The new online lottery (located at www.thenationaltree.org) opens at 12:01 a.m. next Wednesday, Nov. 4 and closes at 11:59 p.m. on Friday, Nov. 6. The (free, but limited) goods: 2,800 ticketed seats and 7,000 standing-room tickets. The SRO tickets are new this year, according to the NPS. Those without computer access (obviously, not you) can call 877-444-6777. Get your clicking finger ready. Come Nov. 4, fill up the coffee pot and chain yourself to your laptop.